baby badz: Are we hawig!?!? Whoa! 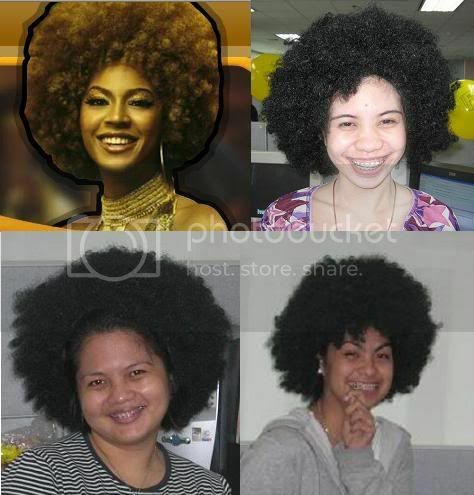 Who's the real beyonce!?!?! I can't tell heeellllppp!!!!!!!!!!!!!!!!!!!!!!!!!!!!!!!!!!! I love to sleep eat and watch TV.I like to watch movies, do karaoke with my friends,love to play billiards, I luv reading books and magazines loved photography too.